I borrowed my 3 year old daughter’s pencils the other day. 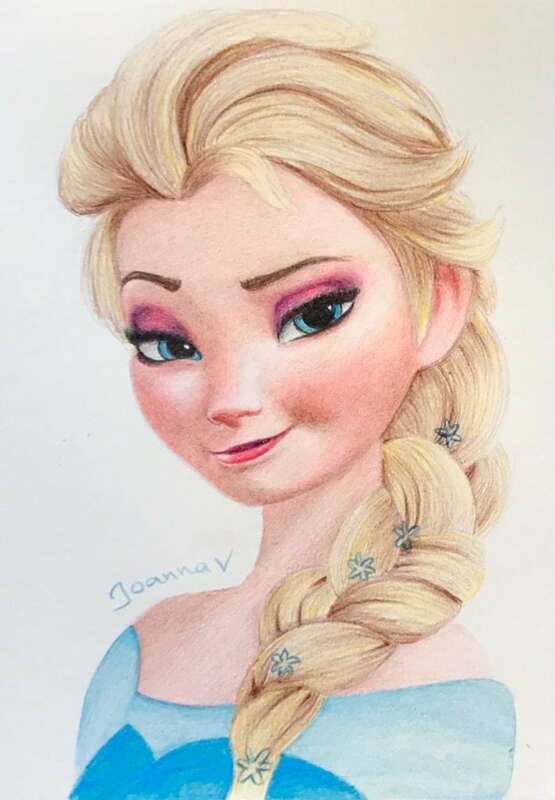 An interesting experiment, primarily I wanted to see what can be achieved with kid’s pencils. And I wanted to feel like a three year old for a while! 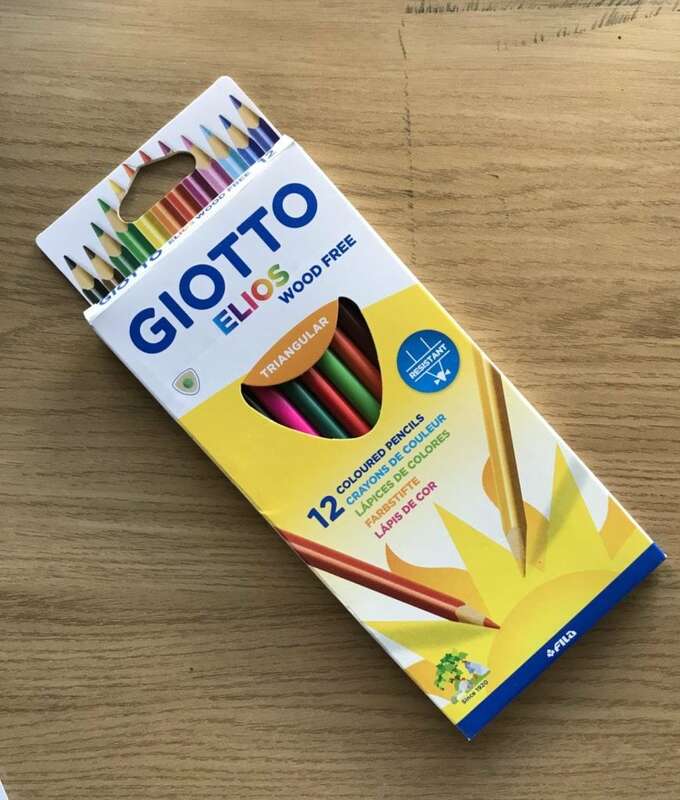 Used this 12 colored pencil set by Giotto, which I buy locally for 0.99€. The first challenge was to create a full color artwork using 12 basic colors. This wasn’t so hard a task, since I have done worse. (However, missing colors like flesh or gray didn’t help at all!) The second challenge was to create a fancy poster-like colorful artwork with little-to-no pigment pencils! To solve this problem I chose a super grainy paper. 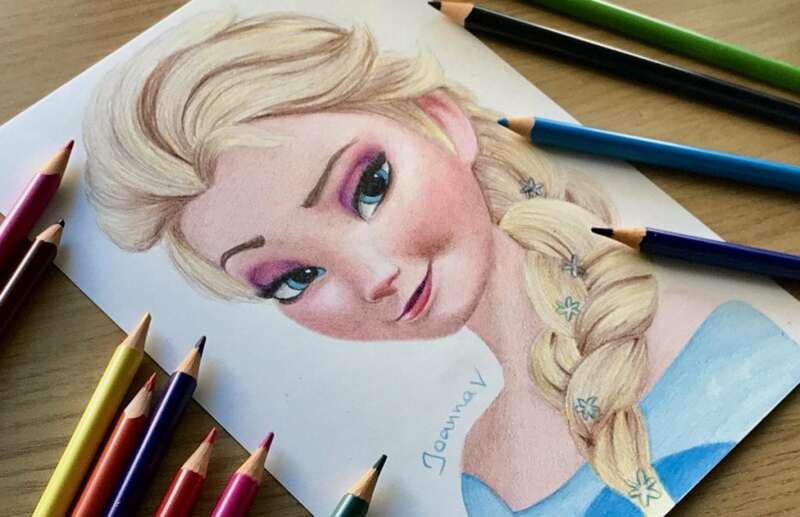 Grainy paper can hold more layers of colored pencils, which was crucial since color pigmentation wasn’t so good. Well, they were a one-Euro pencils after all! The final drawing is a bit too grainy for my taste, but it was the best I could do! Here are my thoughts and pieces of advice considering budget pencils. – Yes, ladies and gentlemen, it is DOABLE! – Pigment (and color consistency) is an issue, so it is better to choose a grainy paper which can hold more layers of color. – Another issue should be lightfastness. Lightfastness refers to how long does it take (weeks, months, years) for the artwork to start to fade. Because drawings can be framed and put on a wall for many many years, lightfastness is a big issue. Since this drawing is fresh, I cannot really say anything about this parameter, but I am currently running a huge experiment to test the lightfastness of the most popular pencils! Stay tuned for the results! – A very pleasant surprise was that the pencil leads didn’t break AT ALL, no matter how clumsily I sharpened the pencils. (When your pencils cost 0.99€, you don’t worry too much about sharpening them properly!) This might be a brand thing, not sure, but it was a great surprise nevertheless. 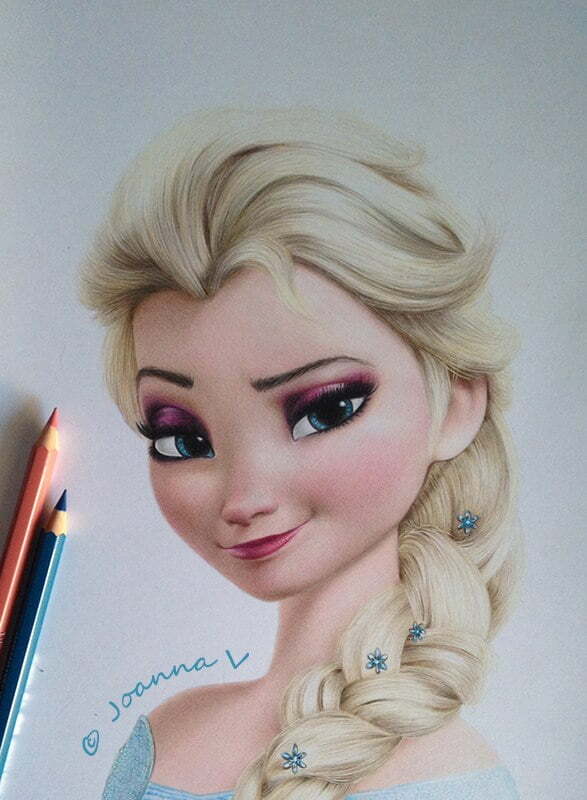 And for those skeptics out there, here’s the same Elsa drawn with Artist’s grade pencils. What do you think about budget art guys? What budget pencils have you used?